Axhilirit©Eczema Creamis a rich moisturizing cream best suited for extremely dry skin as well as on the face, hands and feet where it leaves a non-greasy protective layer. 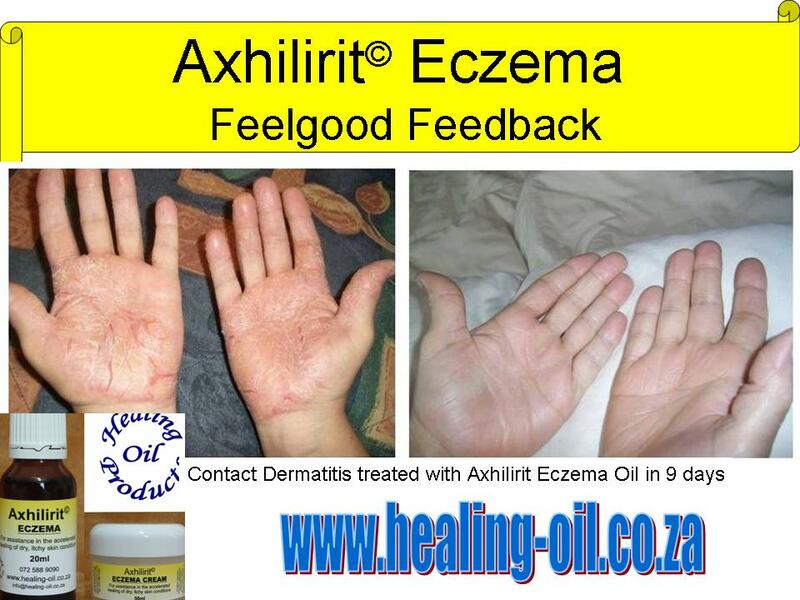 Axhilirit©Eczema Oilis versatile, can be used with other creams and oils, as a moisturizing bath oil and works exceptionally well as a spot treatment, especially if there is open and bleeding cracks in the skin. 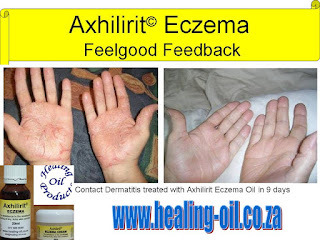 Axhilirit©Eczema Products are economical. A drop of oil or pea size amount of cream covers approximately 10x10cm of skin. The products may be used up to three times a day. The amount of product used as well as the frequency of applications should be reduced as the skin condition improves.